Can you guess these romantic movies from their synonymous descriptions? 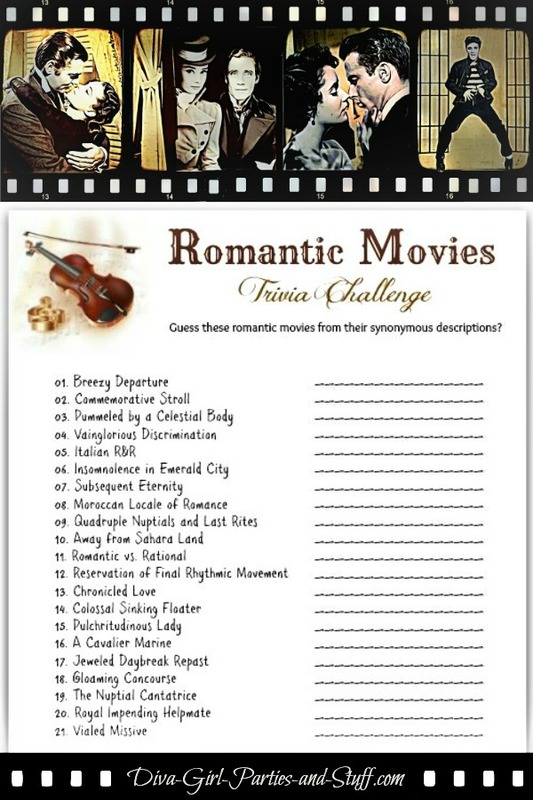 Cuddle up with your sweetheart and test your knowledge of romantic films or play this game at a Valentine party, movie party, couples' retreat or bridal shower. For a party setting, read each synonymous movie title aloud and have guests compete to determine each movie they represent. Give a small prize, like a chocolate heart or a rose, for each correct answer or award a grand prize to the person, couple, or team with the most correct answers all around. 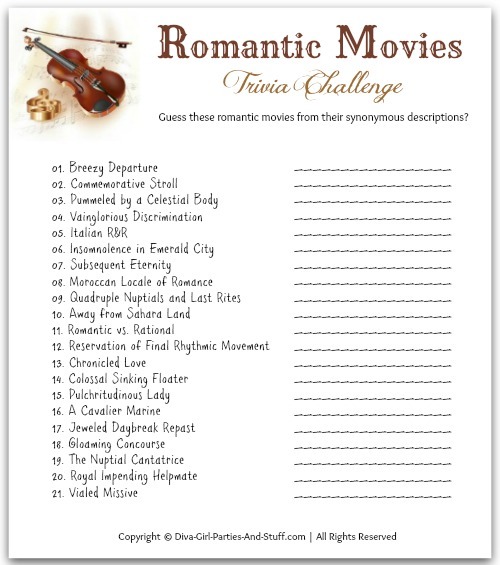 Can you guess the popular romantic movie titles?